I would consider myself to be a big baseball fan. Maybe not a die-hard, but pretty close – especially in a season like this where my favorite team, the Boston Red Sox, are winning games at an historic pace. But outside of following Red Sox games, the other highlights each night are easily dismissed unless there is something that happens so rarely that it has people talking about it for a few days. 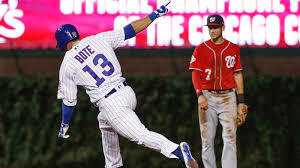 Such an even happened last Sunday, when Cubs rookie third baseman David Bote, seeing big league action largely due to an injury to All-Star third baseman Kris Bryant, did this. According to the Kansas City Star, it is only the 3rd time in the last 30 years where a player hit a walk-off grand slam while down to his last strike. It is the stuff kids dream about in their most dramatic dreams. For Bote, recalled and sent down a handful of times already this year, it was his third major league home run. 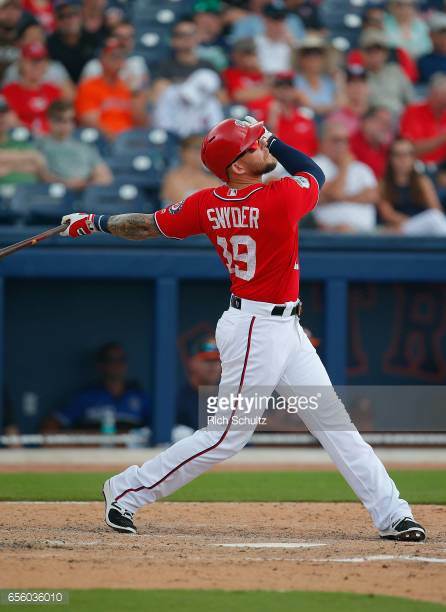 He had been playing well at AAA and doubled in his first at bat in May, at Coors Field in Denver – a short drive from where he grew up, in front of many family and friends. Bases loaded, bottom of the ninth, 2 out, down by 3, 2 strikes on the batter. rookie pinch hitter, Grand Slam! 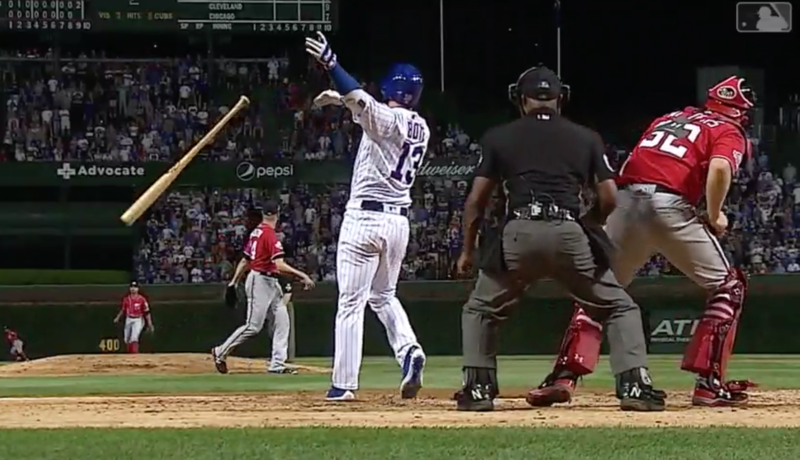 I’ve dreamed about a moment like Bote lived last Sunday. 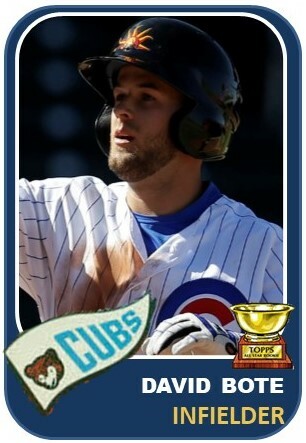 This moment, and the many other rookie season highlights that Bote has lived this year are amazing, and as fans, we are grateful that he didn’t quit baseball when the grind was discouraging him. 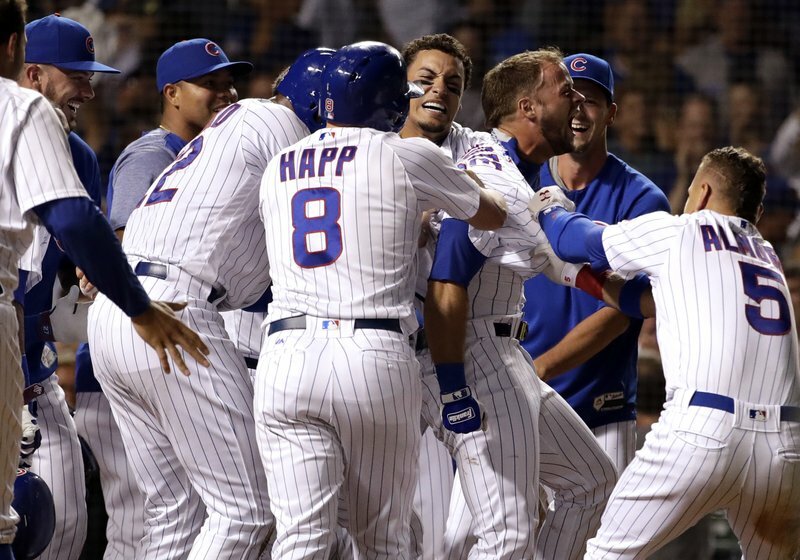 A mob of happy teammates awaited Bote at home plate as he brought in the unlikely game winning run. 1- Encourage and be humble – David’s dad shared his advice to his son – Be an encourager, treat others well, praise God always and be humble” What a great checklist to live by. And there is more. Being aware of God’s presence in all situations, looking to learn lessons from what we go through and how we can glorify Him by our response to what life brings our way – these are all great practices that we can develop by keeping God as the center of our attention. I find these thoughts a challenging reminder to take the focus off the hardships and instead focus on God. He invites us to trust Him instead of worrying (Matt 6.25-34) and depend on Him to provide for all we need (Philippians 4.19). 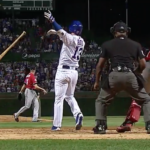 2- Support System – Bote considered giving up baseball because he felt like things were not progressing. He discussed it with his wife, who was living his baseball dreams with him. She continued to support him, and whatever the decision was. I really connect with this part of the story. My wife is easily my biggest cheerleader. She is so supportive of me, encourages me and shows by her words and her actions that she believes in me often more deeply than I believe in myself. To have that strength of support and depth of love and partnership really does empower me to move into challenges with confidence because I know that she is with me in the thick of it. And I get to do the same for her. She is an amazing woman who is doing some great things. It is my joy to support her in what she does being for her what she is for me. Part of the joy of writing this blog is hearing the unlikely stories and the amazing journeys that many players have followed. So many names that have become major league players, even All-stars – came close to giving up, quitting or being forced out by injury or circumstance. But they push through, and their story becomes as interesting as their success. Blake Treinen is one of those stories. 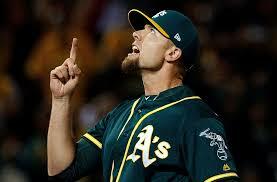 The 30-year old Oakland A’s closer will appear in his first career All-Star game tonight, the result of a first half where in 40 appearances he has already set career highs in wins and saves, while posting a minuscule 0.94 era and holding opponents to a .174 batting average. 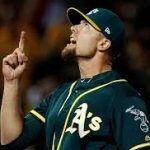 And while the A’s have some significant hurdles to cross to make the playoffs, they have been turning heads with their better-than-expected season and their solid bullpen. Treinen’s sinker has helped him puzzle the batter’s he has faced – they are hitting well below ,200 against him this year. Here is a compilation of how effective Treinen has been this season. And this year, a new height has been reached. Treinen had known some success with the Nationals as a closer, but he is shattering his personal bests this year and his out-pitch – a sinker that averages in the high 90s has troubled opposing hitters all year. I’m excited to see him play tonight, and to share his story of faith and determination. Here are my takeaways from Treinen’s story. 1- What’s Your story – I’ve said many times on these virtual pages that our story is such a key part of our life. Our lives and experiences are meant for us to know that God is real and active in our lives, but also for others to see God at work through our circumstances and be drawn to Him. Treinen talks in the articles that I linked to above about having some doors slammed shut and others open up. I’m glad to share Blake Treinen’s story. Because we can see similar things occurring in our own stories. I challenge you all to reflect on your own story and see how God has been faithful and drawing you in to trust Him in all circumstances. 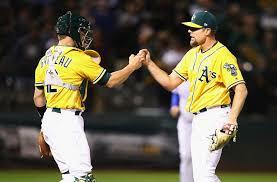 Treinen is congratulated on a save for the A’s – something that has happened 24 times already this season. 2- You Never Know – Part of what makes this story so intriguing is the “coincidences” throughout. The most jarring is the personalized license plate bearing Proverbs 3.56 just hours after Blake was offered those same 2 verses as a comfort for this challenge he was facing. Consider all the pieces of the story. He happened to be sharing that part of his story and the verses that were shared with him with his parents as the car drove by. It makes you wonder about the driver of the red Cavalier. What happened in his/her life that led them to get that particular verse printed on their license plate. Do they know the impact that it had on this passenger in the car they passed? A man who now finds himself in the baseball All-Star game. Kinda makes you think about all the different ways that you are able to share your faith with others. Maybe it will be in a deep conversation about theology and doctrine, maybe it will be in reflection of a movie that you watch with some friends that brings up topics of faith, sin, grace and forgiveness, maybe it will be a Christian themed t-shirt you are wearing or a tattoo with a bible verse or crying with a friend that has just had their world turned upside down by tragedy. There are may ways that God uses to reach into the lives of others around us. Sometimes He even uses your license plate! I used to dream about being a baseball player. Did I ever really have a chance to make it? I would fall under the “longest of long shots”. But if I were to have made it, I dreamed of what it would be like. I dreamed about getting hits, stealing bases, making defensive plays. I dreamed about my debut and what I could accomplish in it. 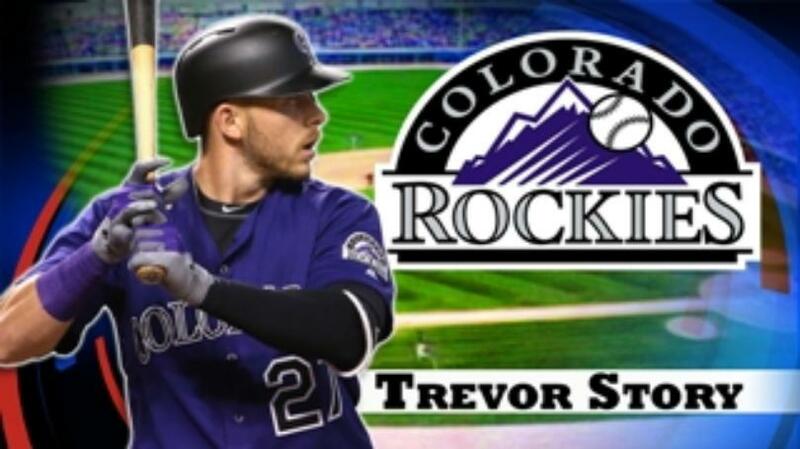 But in my wildest dreams, I couldn’t have dreamed about the reality that Trevor Story of the Colorado Rockies lived. 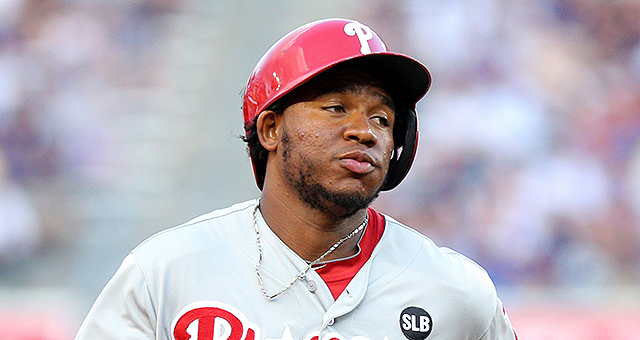 Story, who is a first time All-Star this year, may go on to accomplish lots of incredible things in his pro baseball career, but I believe part of Story’s story in baseball will always his first week in the Majors. 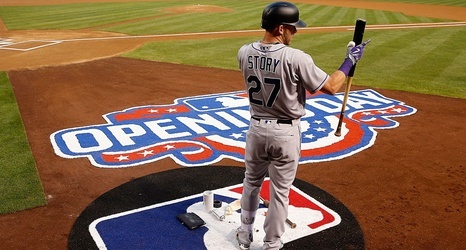 Trevor Story on-deck on Opening Day 2016. 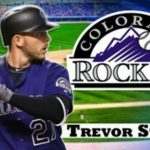 His 2 home runs on opening day world introduce Trevor Story to the baseball world. His 5 more home runs over the course of the week would put him in the record book. It had taken some time to get there. 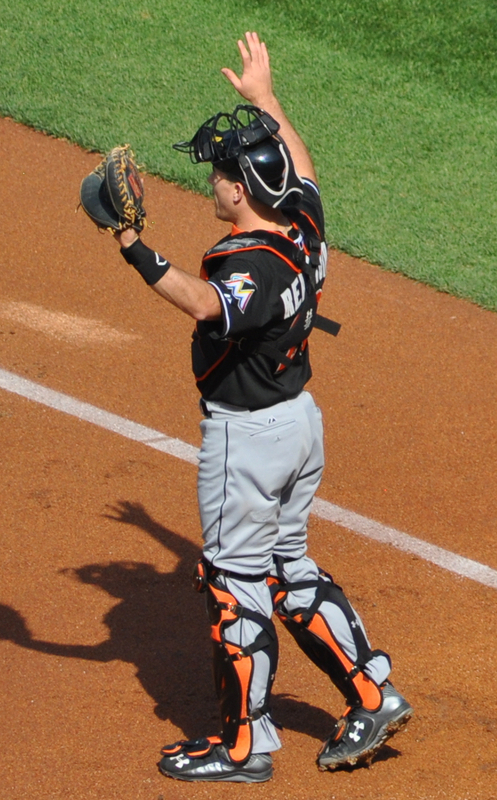 Story had been drafted in the first round of the 2011 draft. He worked his way through the minors, and with the help of a great host family, he learned about living life as a pro baseball player and as an adult. In 2016, Trevor Story made the Rockies roster out of Spring Training. He got the opening day start against Zach Greinke, who was runner up for the National League Cy Young award the year before. That is a tough taskfor a major league debut. He grounded out to short in his first at bat. In his second, he hit a 3 run home-run. 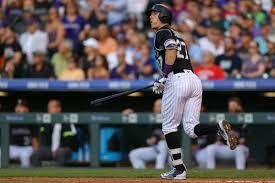 In his third at bat, He took Greinke deep again, this time for a solo shot. Story would go on to set a record by hitting 7 home runs in his first 6 games. Here are the highlights from his first week. He would go on to hit 20 more home runs in his rookie season, finishing 4th in Rookie of the Year voting, despite playing less than 100 games, missing the final 2 months of the season with a thumb injury. 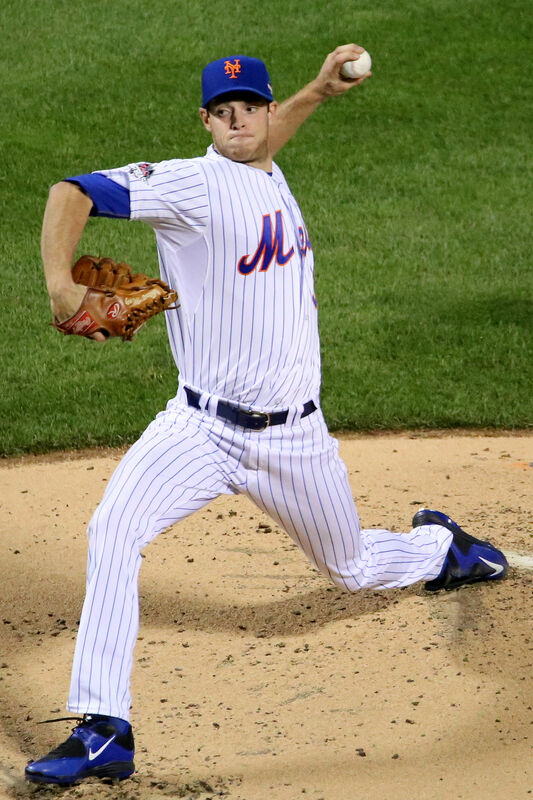 Last season, he struggled at the plate, hitting .239 and leading the National League in strikeouts, although he did still connect for 24 home runs. This year, he has raised his batting average to .289. and 18 home runs. He also already has a career high in stolen bases and triples. He was named to his first All-Star team this year. The Trevor Story home run trot has been seen 69 times so far in his career. 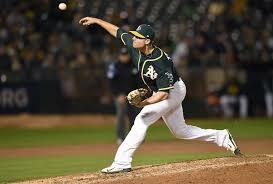 Check out this story about his mom and his journey to the majors. 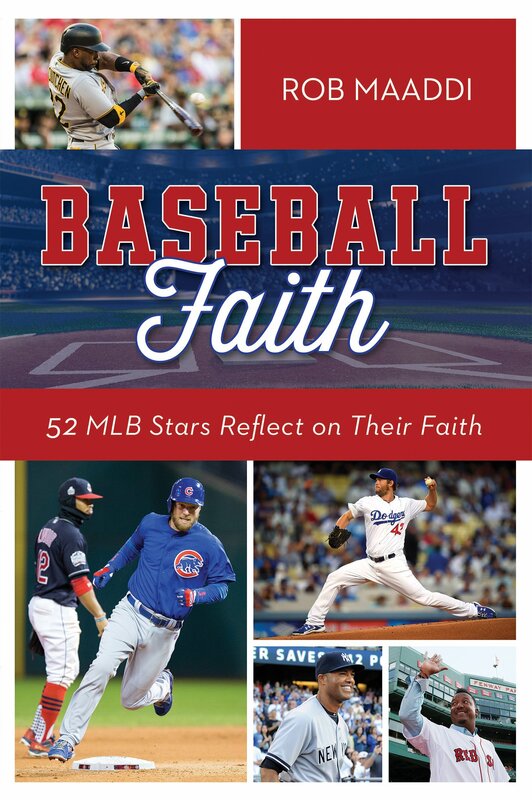 But for Story, whether he is on a record setting home run pace, or dealing with injuries and struggles in the game, he is constantly leaning on his faith in God to guide him. He says “Through the highs and lows, there’s always one thing constant, That’s my relationship with God. Its certainly not perfect but that’s the thing I fall back on and it’s the most important thing to me”. He also goes on to share the help and encouragement he takes from his teammates who attend baseball chapel with him. He says, “it’s a special brotherhood and we’re trying to keep it growing. Darren Holmes (Rockies bullpen coach) and Steve Foster (Rockies pitching coach) push me almost everyday to grow spiritually. Ian Desmond has been one of those guys for me too. It’s a special thing to have a brother like that that’s with you everyday and a guy you can lean on.” (I blogged about Desmond a couple years ago). Here are my takeaways from Story’s story. 1- Beyond our Wildest Dreams – I imagine that even in his most positive and hopeful dreams, even Story would admit that he didn’t dream about the start that his career had. At least one home run in each of his four Major League games. 7 through 6 games. He certainly caught the attention of the baseball world in a huge way. I have never played professional baseball. I have never hit a ball over the home run fence at any level of baseball or softball. But I have dreamed about it. I have also dreamed about many things in life – things that could happen, things that I would like to happen, and there have been countless times when the dreams I had were far exceeded by the reality that I lived because God had bigger things in mind. Do I believe that God will always give us things that will make us rich or famous, but I do believe that living for Him is the best option that we have and following Him will exceed all our expectations. 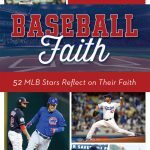 Story’s faith in God is important to him in his baseball career and in his life. 2- Constant – And even when things are not working out perfect for our fame and success, He continues to guide us and lead us if we allow him to. We can depend on Him. When we are unable to navigate the difficult times in life on our own, He is eager to help. When we are hurting, or forgotten, He comforts us and reminds us of His promises. When we forget about Him, rebel against Him or try to go through life alone, He is always there, waiting for us to call out to him again. I picture the book of Judges. I used to teach lessons to kids from Judges called the A,B,C,D,E,Fs. The way it worked for Israel in the time of the Judges was they would Abandon God, Bad things happen, they Call out to God, a Deliverer is sent, and Everything is good again, For a while, until the cycle starts again. We live life in a similar cycle. But God is constantly there, constantly working and dependable. Trevor Story talks about this constancy that he has experienced with God even though his part in the faith relationship is not perfect. There is a good lesson in that. We are imperfect in our part of the faith relationship, but God is perfect, he is faithful and he is always there. 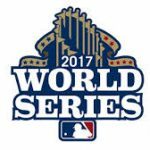 It is World Series time! And as a lifelong baseball fan, it is one of the highlights of my sports year. And this year, the games have been especially entertaining. 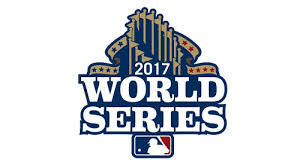 And with game 4 today and game 5 tomorrow it is possible that the end of the baseball season will come this weekend. The Dodgers are hoping to send it back to LA next week. Do you have a cheering interest? If not, Let me share this video from CBN that focusses on 3 players from each team. I have featured many of these players before – here are the links to the posts I’ve written for the players involved. Clayton Kershaw – One of the earliest posts on my blog – shares about Kershaw’s efforts to help out an orphanage in Africa. Josh Fields – Earlier this season, I wrote a post about Fields, being traded and giving it his all every time out. Carlos Beltran – Last season, at the All-Star break, I shared a little of Beltran’s story and coping with tragedy. Jose Altuve – at 5’6″ Altuve impresses every time he takes the field. Here is the post I wrote about him and his work and effort to realize his dream of playing baseball. And some more information about Curtis Granderson and Will Harris both of whom have participated in Baseball Chapel videos. Check them out below! If you want more, check out the posts I wrote on Carlos Correia and Lance McCullers Jr.